The Hyde Street Pier is a popular San Francisco tourist attraction in the Fisherman's Wharf neighborhood. It's one of several museums along the waterfront in this bustling district. The pier was originally built in 1922 for car ferries that shuttled passengers back and forth between San Francisco and Marin County. For several years, this ferry route was officially part of Hwy 101 until the Golden Gate Bridge opened in 1937. Today, it's a floating museum that houses several ships. Five of the vessels on the pier are officially National Historic Landmarks. You can walk along the Hyde Street Pier for free. This gives you a view, from the outside, of these beautiful historic vessels. You can also pay a small fee, $10 per adult (children under 15 free), to visit three of the five main ships. Throughout the day, there are park ranger-led tours. These change daily and are posted at the ticket booth. Here are a few pictures from my last visit and a little more about the historic ships on display. This is the Eppleton Hall. It's an old steel tug boat built in 1914 in South Sheilds England. It crossed the Atlanta under its own power in 1969. You used to be able to board this ship for a visit. However, it is no longer open to visitors. Here is another view of it from the Aquatic Park beach. It is the smallest boat at the Hyde Street Pier. 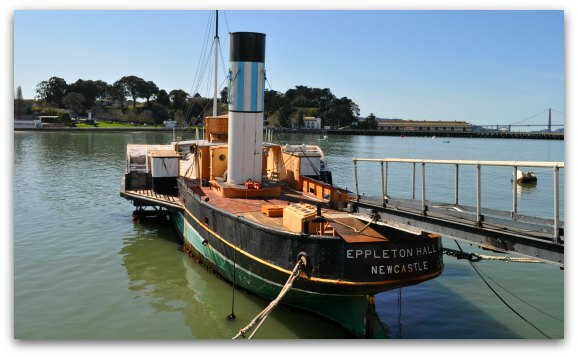 The Eppleton Hall's next door neighbor is the largest ship that lives at the pier. It's called the Balclutha. 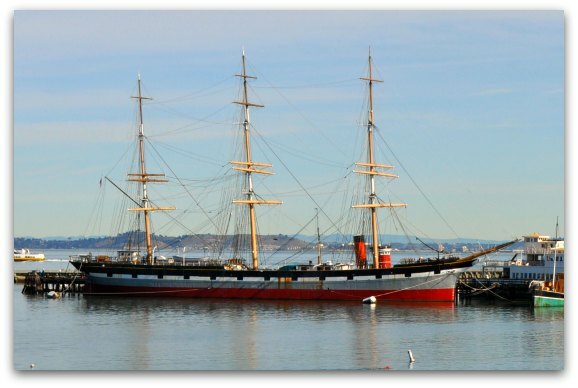 This square-rigged ship was built in 1886 in Glasgow, Scotland to haul wheat to California. When the Balclutha was in use, they had to sail all the way around the southern end of South America on a grueling trip that lasted months, just to reach the West Coast. 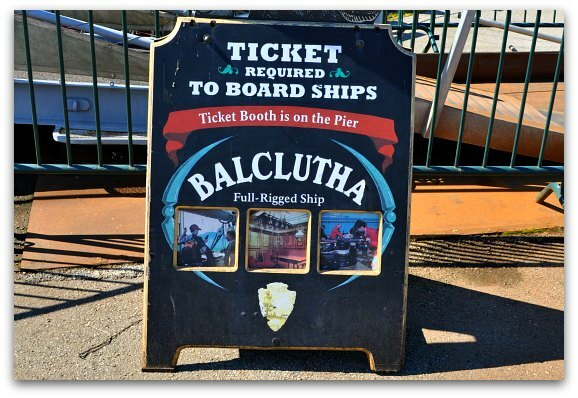 The Balclutha is one of the ships you can board. During your visit, you'll get a good sense of what it was like to live on this boat for months, along with dozens of other people. Typically there are guided tours of the Balclutha every day. It's an interesting tour that tells you all about about the ship and the people who worked on it. Check the tour schedule at the ticket counter to find tour times on the day of your visit. 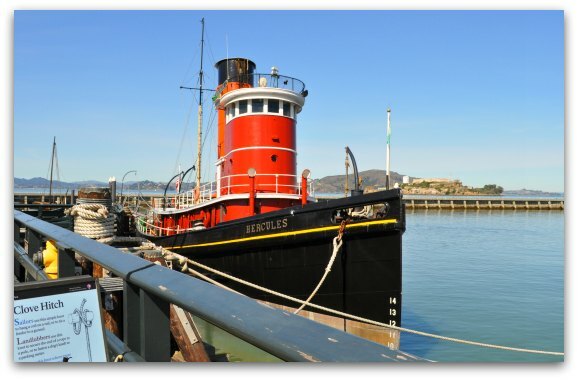 Across the Hyde Street Pier from the Balclutha is the Hercules. 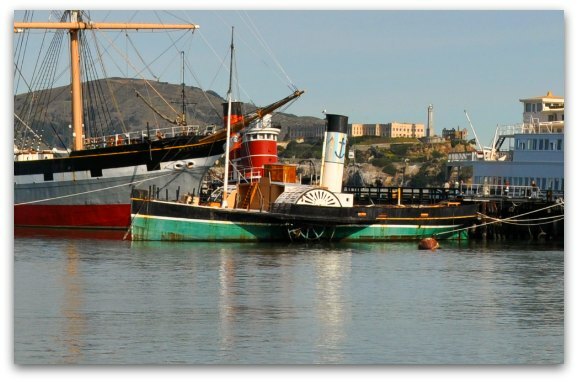 This is a steam-powered tug boat. It was built in 1907 in Camden, New Jersey. This power horse did a lot of work in its time. It's most famous job was moving many of the large structures needed to build the Panama Canal. The Hercules is another one of the ships that you can visit. It's much smaller than the Balclutha, but is worth a visit. Right next to the Hercules is the Eureka. This is one of the car ferries that carried passengers back and forth from the Hyde Street Pier to Sausalito. 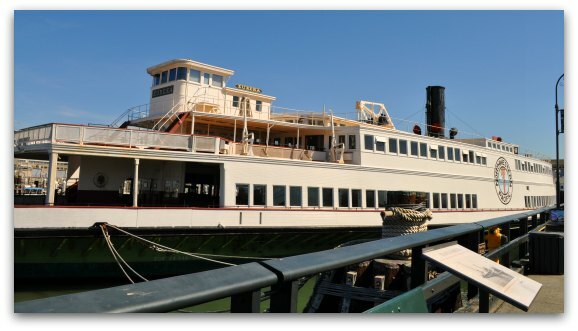 It was originally built in 1890 in Tiburon, California as the Ukiah. It was refitted in 1922 and renamed the Eureka. This is the third ship on the pier that you can visit. Make sure you also stop on the main level to check out the classic cars and trucks on display. 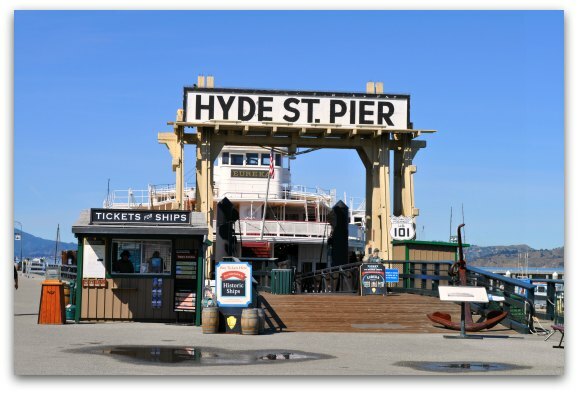 The Hyde Street Pier is a fun stop while at Fisherman's Wharf. I've visited several times and always learn something new about these historic ships. You can purchase tickets at the gate. They are usually around $10 per person. Visit their website for pricing details. Are you planning to stay in Fisherman's Wharf? This is a popular neighborhood among tourists for lodging in San Francisco because many of the hotels are close to the waterfront. There is a large selection to choose from. Read about some of my favorites so you can find the right one for you! 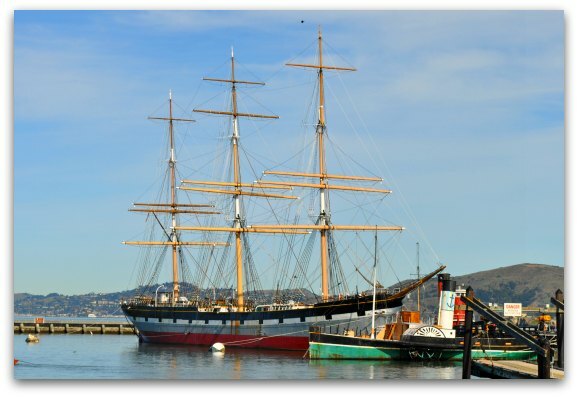 Another entertaining museum in Fisherman's Wharf is the San Francisco Maritime Museum, right across the street from the Hyde Street Pier. After visiting the pier, you can head over here to learn even more about the history of Fisherman's Wharf. This museum is free and has some outstanding educational, hands-on displays. What else is there to do in Fisherman's Wharf? This San Francisco neighborhood is packed full of activities, tours, and attractions. Here you can pick up a city tour, visit the famous Pier 39, or even catch a boat for a ride around the bay.